Due to the slowdown in the realty market, Bollywood missed many multiplexes which were supposed to be completed by now. It affected the entire Bollywood industry. Revenue of Bollywood movies is affected as number of multiplexes are lower. Bollywood film industry is affected by the sluggish realty market which has halted many mall projects. It is estimated that around 150 multiplexes across the country has not been completed in time due to the slowdown in the realty market. 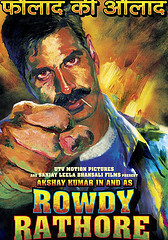 It is a bad news for any Bollywood fan to hear that real estate market has indirectly affected the Bollywood industry. If the developers are not developing multiplexes, where will the Bollywood movies be shown and the people will be able to watch them. So in short the slowdown in the real estate sector has affected Bollywood, though indirectly.